Now you can dine on wallaby and foraged bush ingredients while watching the sun set over the monolith once known as Ayers Rock. Uluru, in the southern part of Australia’s Northern Territory, is considered sacred by the Aboriginal people. Amid the flat, earthen landscapes of Australia, visitors traditionally had one experience on their must-do list: climbing Ayers Rock, the immense sandstone formation at the center of the country. In the 80s, I climbed Ayers Rock T-shirts were a necessary souvenir; a decade ago, almost half of all tourists in Australia were still checking the hike off their bucket lists. But since 1993, when the government reinstated the rock’s local name, Uluru, and awareness began growing that the indigenous community considers it sacred, clambering to the summit has been controversial. Australia’s more than 500 Aboriginal tribes are like individual nations, each with its own language and customs. But one belief unites them all: the idea of an ancestral tie to Mother Earth. For the Anangu people who live around Uluru, the rock is the place from which they came andthe place they will return to after death. 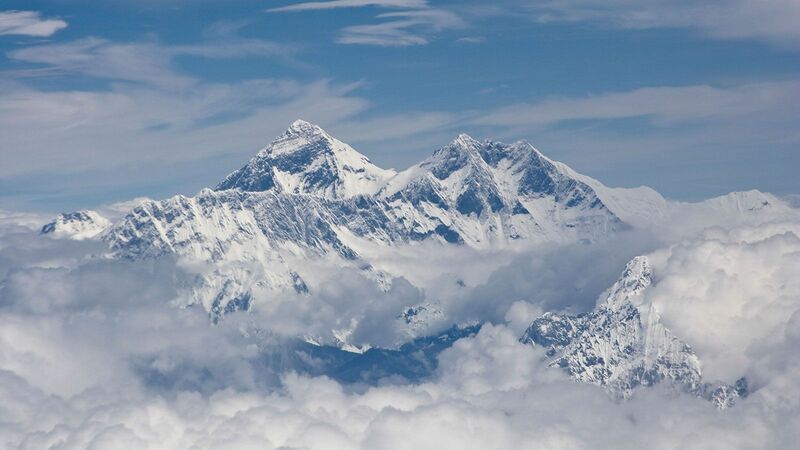 For that reason, they do not climb it; instead, they perform rituals and ceremonies, often dating back thousands of years, within the geologic folds around its circumference. 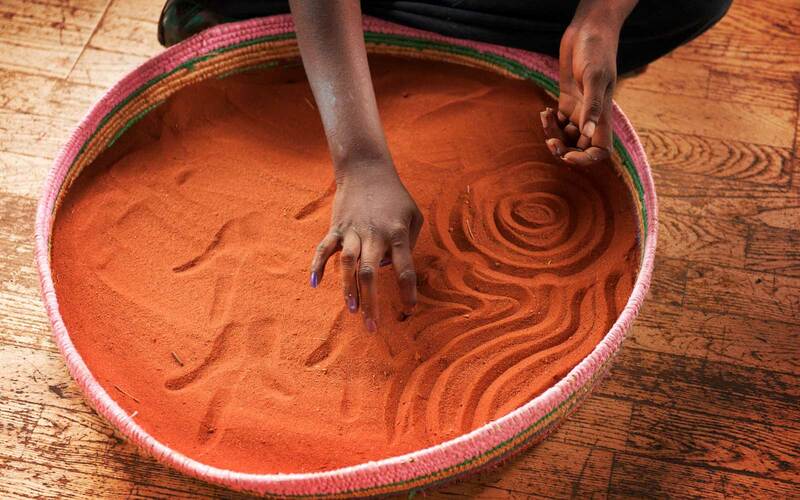 Indigenous artists depict Aboriginal creation myths in sand at Ayers Rock Resort. This past November, Australia’s National Parks board, which oversees Uluru, voted to ban climbing for good. 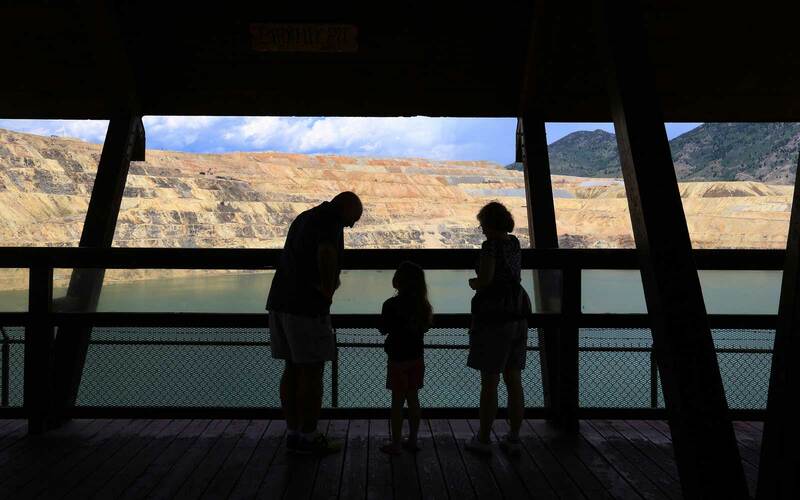 It was, the board’s director said, the “righting of an historic wrong” — an acknowledgment that Aboriginal people have lived on the continent for 60,000 years, and that their link to the land is a birthright. The rule, which will go into effect in October 2019, is also evidence of the way the Anangu are increasingly shaping the visitor experience. As with tours of the Canadian wilderness tailored by members of its First Nations communities, travelers to Australia now have the chance to understand the site not just as an Instagram backdrop but as a living testament to one of the world’s oldest cultures. Uluru proved a challenging place for white Australians to comprehend. When explorer William Gosse sighted it on the horizon in 1873 — the first white man to do so—he wrote of his “astonishment” at its “peculiar appearance.” From a distance, his view obscured by sand dunes, Gosse thought he was looking at a series of caves, rather than the remnants of a massive mountain range. The first tourists arrived in 1938, but it took 12 more years for a dirt track to be constructed connecting Uluru to the resort town of Alice Springs. A local man named Len Tuitt set up a basic camp at Uluru in 1953; in 1958, more than 2,000 visitors drove for up to 12 hours through the desert to the site. 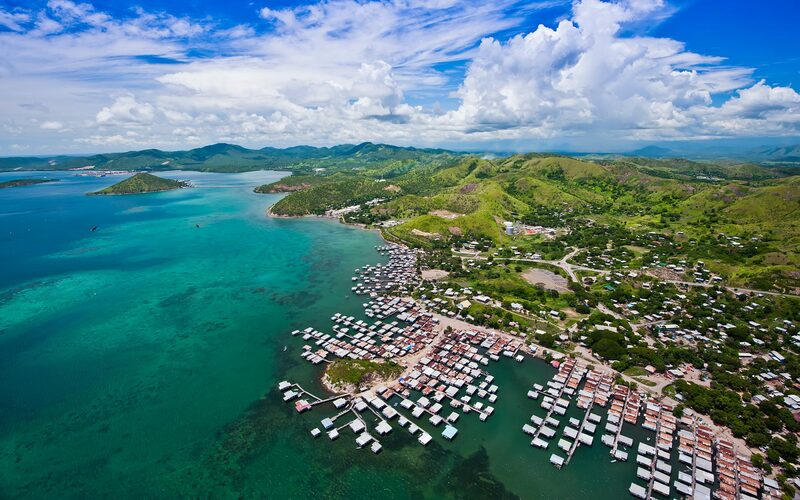 That number climbed to more than 23,000 in 1968, after road improvements and the construction of an airstrip. In the tourism boom, the Anangu were all but forgotten. It wasn’t until 1985, two years after Princess Diana climbed the dusty red rock face in a white cotton dress, that the Australian government officially handed the site back to its traditional guardians. After Meryl Streep’s star turn as a mother whose child goes missing at Uluru in the 1988 film A Cry in the Dark, “A dingo ate my baby” became a global catchphrase. Growing up in Australia at the time, I was conscious of Uluru as a popular destination for international tourists, but didn’t know anyone who had seen it themselves. Awareness of the country’s indigenous past was not what it is today, and visiting the mysterious rock was an expensive, far-fetched proposition. Even after the Uluru-Kata Tjuta National Park was listed as a unesco World Heritage site in the mid-90s, the nearby collection of hotels and campsites was at best an exercise in half-hearted kitsch. When a government body charged with acquiring land for indigenous groups bought the property from a private company in 2010, the Ayers Rock Resort, as it is now known, underwent substantial renovations. The accommodations range from a serviced campsite and self-serviced apartments to four different hotels. The five-star option, Sails in the Desert (doubles from $298), might remind you of an upscale motel with its perpetually mobbed pool and boxy, walk-up units. Still, this is central Australia, and with powerful air conditioning and a buzzy restaurant, Sails makes for a comfortable home base. 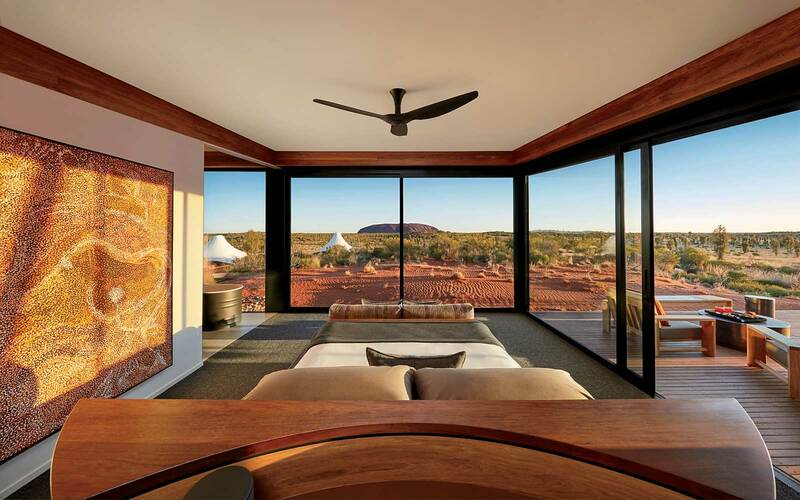 Last September, Longitude 131° (doubles from $2,266), a luxurious tented retreat that’s separate from Ayers Rock Resort, with views of Uluru, relaunched after a lengthy makeover. The solitude there is absolute, and the attention to detail is exquisite, but you might miss the energy of the main accommodation complex, where guests can learn about the site’s significance to Aboriginal people through daily storytelling sessions at the Mani-Mani theater and indigenous craft demonstrations at the Wintjiri Arts & Museum. The Dune Pavilion at Longitude 131° has spectacular views of Uluru. Although Uluru itself is 550 million years in the making, it can be toured in one morning: on either a walk around the 5.6-mile circumference or, if you’re feeling adventurous, a dawn motorbike ride. Perhaps the most memorable experience at Ayers Rock Resort is a dinner called tali wiru, which means “beautiful dune” in the Anangu language. It takes place on a viewing platform a few miles from Uluru where diners can watch the rock’s surface change from orange to a deep purple. As darkness falls, guests are served a feast of native ingredients like wallaby, roselle (a type of hibiscus), and quandong (a native peach). 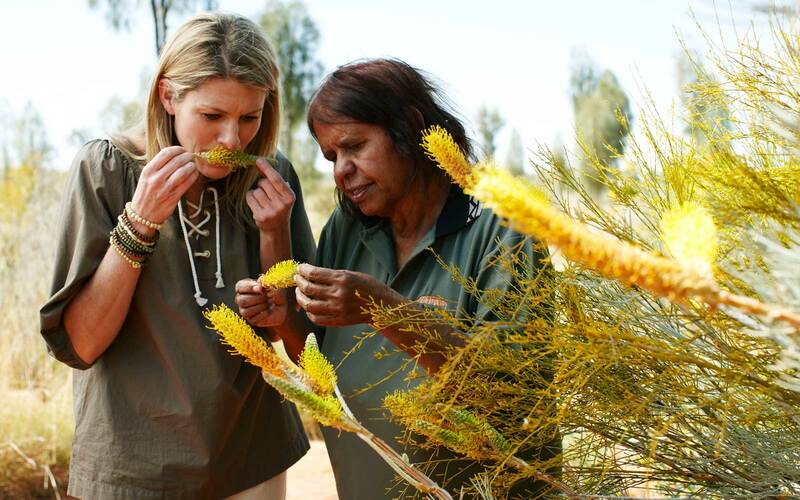 An Anangu guide leads a tour of native plants in the gardens at Ayers Rock Resort. For me, the real magic came after the meal, when an indigenous guide revealed patterns in the night sky. He explained that for some Aboriginal cultures, constellations are depicted not by the stars, but by the dark spaces between them. Outlining the shape of an emu amid the sparkling constellations, he pointed to its legs, its plumage, even its beak. At first I had to squint. But then, after a life spent under the southern sky, I was able to see it, too. Uluru isn’t the only Aboriginal site worth visiting. To learn more about Australia’s indigenous past and present, consider this suggested route from Camelback Odyssey Travel’s Cassandra Bookholder, a native Aussie and longtime member of T+L’s A-List of travel advisors, who specializes in bespoke itineraries. Nine-day tours from $9,500. Fly into Cairns Airport on the northern coast of Queensland and transfer to Silky Oaks Lodge (doubles from $333), in the Daintree Rainforest. Spend one day with the Kubirri Warra brothers, guides with a passion for indigenous history. After tea at their mother’s house, they lead wildlife walks and teach traditional fishing and hunting techniques. The next day, view native fish and turtles on a snorkeling tour in the Daintree River before enjoying dinner, storytelling, and music with members of the area’s Kuku Yalanji community. Fly direct to Uluru’s Ayers Rock Airport for your stay at Sails in the Desert, a luxury property in the resort. Visit Kata Tijuta, the park’s other striking rock formation, before a lesson in Aboriginal dot painting back at the resort. End your first day with a walk through artist Bruce Munro’s installation, Field of Light—now extended to the end of 2020. In the morning, take a tour of edible and medicinal flora with the Anangu community. This knowledge will be useful at an open-air cooking class that evening. Fly to Sydney Airport, and check in to the new Spicers Potts Point (doubles from $302), a boutique hotel in the calm Potts Point neighborhood. See the city through the lens of aboriginal history with an indigenous walking tour guide, or cruise Sydney Harbor and the historical sites of Goat Island. After lunch, visit Cooee Art Gallery or aboriginal art galleries to see the best of today’s indigenous art. on your last day, visit Ku-ring-gai Chase National Park, home to ancient rock art. Native-led tour options include river cruises, walks to find medicinal plants, and foraging for foods like witchetty grubs.